In an attempt to decrease the energy expenditure of low income households in the United States, Nest Labs, Inc has recently announced to install as many as 1 million of its smart thermostats at negligible or zero cost in these homes over the ensuing five years. As per reliable sources, the project is likely to be officially commenced on the upcoming Earth Day. The initiative is part of the firm’s Power Project which aims to raise awareness regarding energy consumption and efficiency, cite trusted sources. It is also being said that Nest would team up with various non-profit groups, housing organizations like Fannie Mae, and major energy companies such as Southern California Gas to bring energy efficiency to more American nationals. Reportedly, the firm would collaborate with Habitat for Humanity and has planned to donate a Nest Thermostat E to each house constructed by the non-profit outfit. 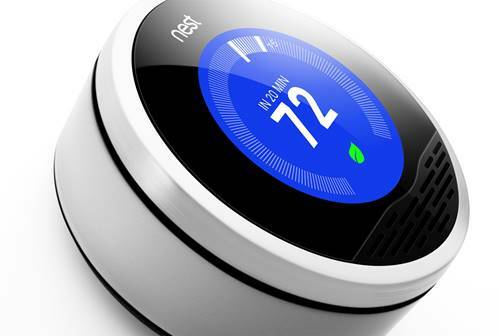 Moreover, it has been reported that around 10% of proceeds obtained from sales of thermostats until April 30 would be donated by Nest to establishments like Habitat for Humanity. For the record, the low-income households in the United States reportedly spend a significant portion of their income on utilities than the average household. As per the estimates of Nest Labs, one in five households incurs expenses of more than 20% (a few even as high as 50%) of their income on cooling and heating their homes. Apparently, smart systems such as Nest’s thermostats could assist these households to reduce utility bills and ensure that socio-economic status would not prove to be a barrier to save on energy expenses. Speaking on the firm’s latest announcement, Head of Energy Partnerships at Nest Labs, Jeff Hamel was quoted stating that the company aims to bring to life The Power Project this Earth Day and aid in alleviating the burden of high energy costs across the nation.